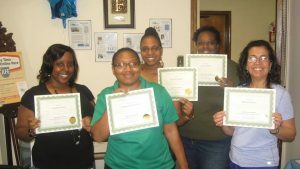 Our Computer Literacy Training program assist individuals with little to no computer exposure and those that want to increase essential computer awareness. We provide teaching on internet usage and various components available. Our program provides computer software application training to assist each individual in obtaining and developing the understanding and computer skills to meet the needs of today. Students who attend all scheduled classes will receive a Certificate of Completion.